Literally translated as the Adobe of Clouds, Meghalaya is one of the few regions in the world which receive the highest rainfall. Hence, you can find a myriad of natural wonders in this beautiful state covered with lush greenery and filled with lively environment. Jowai is one such place in Meghalaya which is certainly capable of leaving you awestruck with its unimaginable atmosphere and picturesque scenery. If you are looking for a destination where you can free yourself and mingle with the nascent beauty of nature, then it is advisable to plan a trip to Jowai in Meghalaya. Located in Meghalaya, Jowai experiences rainfall most of the time during a year. Therefore, it is not advisable to visit Jowai during the monsoon season as during this period it receives maximum rainfall and hence, it will not be comfortable to roam around freely. However, if you are looking to enjoy the best of Jowai, then the best time is from October until the end of June as summers are bearable here. Jowai is a scenic destination located in the West Jaintia Hills district and is one of the most beautiful and unexplored places in the region where you can assuredly find a soothing atmosphere which can lead you to the world of retirement. It is known for its summer locations where you can spot several tourists and offbeat travellers relaxing in its fresh environment. Jowai is surrounded by the Myntdu river on three of its sides, which in turn, makes it look alluring. 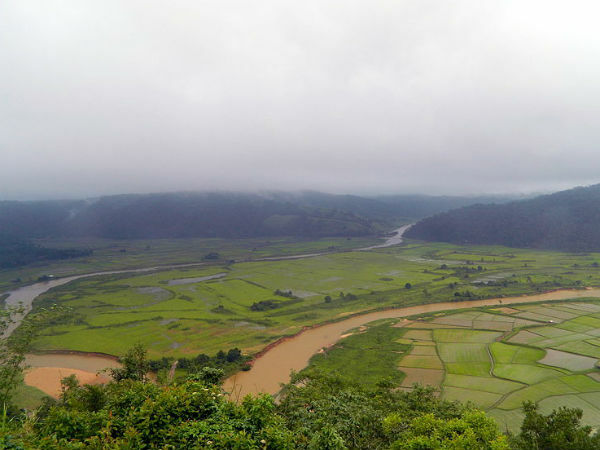 Even though it is also one of the most significant commercial and education centres in Meghalaya, it is still popular for its beautiful landscapes and enchanting surroundings. Famous for its natural green surroundings, Jowai has beauties in the form of parks, waterfalls and other natural splendours. The major places which you cannot afford to miss while in and around Jowai include Presbyterian Church; Tyrchi Falls, the gem of Jowai; Nartiang Monoliths; Lolong Park, the beauty set to surprise your eyes; Thadlaskein Lake and Syntu Ksiar, a mesmerising valley irrigated beautifully by Myntdu river. Doesn't Jowai possess everything that you would expect it to showcase? So, what do you think of planning a trip to Jowai in Meghalaya this season? By Air: The nearest airport is at Guwahati at a distance of about 180 km from Jowai. Once you have reached the airport, you can hire a cab to Jowai. It will take you an approximate time of 4 hr to reach your destination from the airport. By Rail: There are no direct trains available to Jowai. However, you can catch a train to Shillong airport, which is located at a distance of around 65 km, and then from there you can hire a taxi to Jowai. By Road: Having good road network, Jowai can be easily accessed by road.